Your full-coverage insurance policy against eye shadow fading, creasing, and melting. Our silicone-based eyeshadow primer transforms any eye shadow into a perfectly blendable, color-drenched, intensified version of itself, then locks it down perfectly until you take it off. Our skin soothing formula evens out the skin tone on your lids and smoothes out lines while it secures a barrier between the oils of your skin and your makeup, so no shadow catastrophes will ever happen again. * my lids doesn't look flakey/dry unlike UDPP. I swapped my Urban Decay Primer Potion with this eye primer and I'm not disappointed (thanks sis Heatherette)! 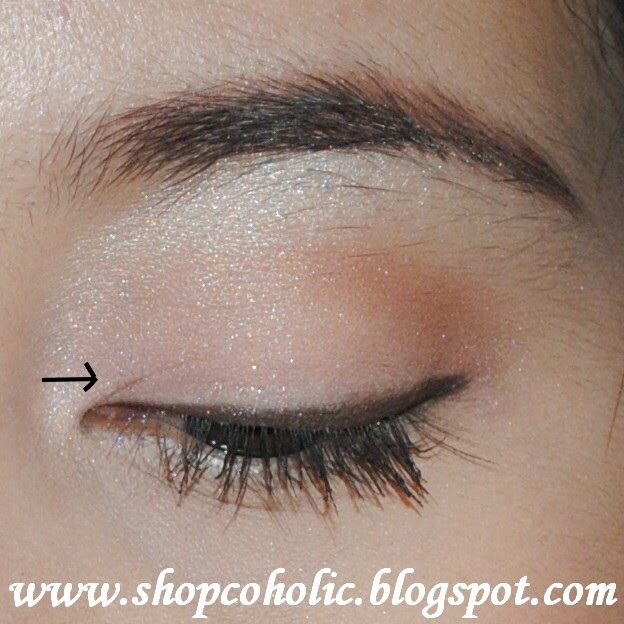 I love how it dries easily and makes eyeshadow application a breeze since the colors glide smoothly. I like the texture too which is thinner compared to UDPP... no more flakey/dry looking lids! 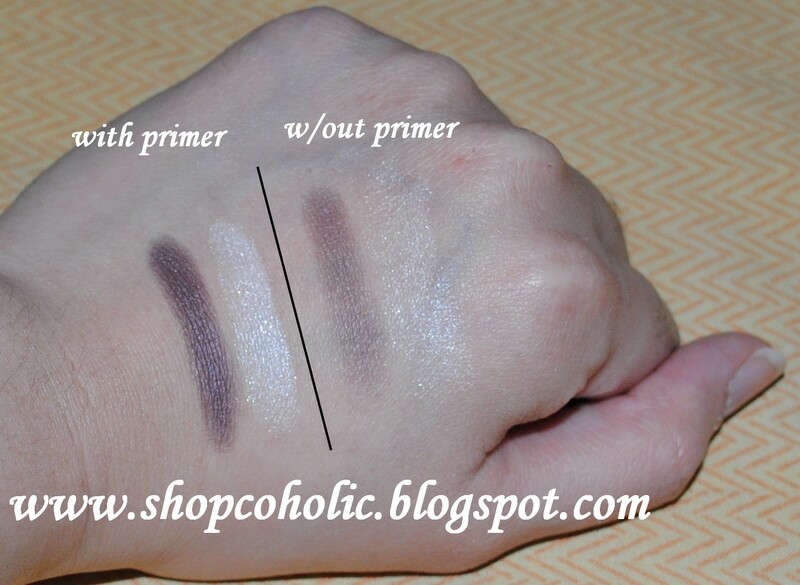 See the difference with and without eye primer? my eyeshadow creased a bit, but not bad eh?! awesome! thanks for sharing. not sure if this is available here... have to keep a look out for it. i see it quite a bit in youtube videos. Lucky for you, you found something that works for you! The Too Faced eyeshadow insurance was the first eye primer I got myself. It did work at first, but after several other times, it just started to crease!! Then I went in Sephora again, and they recommended me the Kat Von D High Voltage eye primer. This one also worked for a few time, then failed me once again. Then they put in those sample container the Benefit Stay Don't Stray and the Lorac Behind the Scenes eye primer. Tried the Benefit, didn't work and I'm going to try the Lorac... SIGH Hope something will work for me! So jealous, I wanted to try this stuff sooo bad, I just couldn't get my hands on this... Great review. 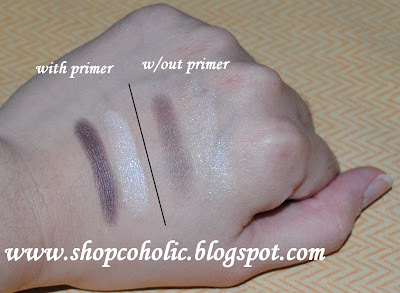 the before and after in the swatches is very good..it brings out the color more!! It's a bit price-y for me. But thanks for the review! Lots of people rave about this product!